The Holy Qur’an and the Sunnah of the Prophet are the two fundamental sources of Islam, the final religion in the presence of Allah. The Noble Qur’an and the Sunnah represent an indivisible unity. Whoever holds on to them does not go astray and earns eternal salvation. Thus, in order to add our lives a Prophetic cure and love, a Muhammadan blessing and benediction we must always hold tight to the Qur’an and the Sunnah of the Prophet Muhammad (pbuh). 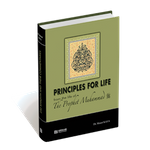 In order to achieve this, it is our fundamental task to read and understand the Prophet’s sayings first. This book that you are holding has been written to fulfill this fundamental duty. 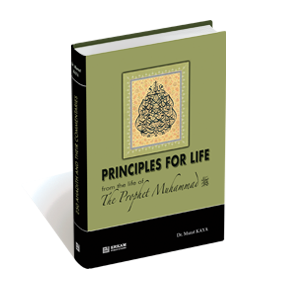 With the help of many ahadith which have been selected from credible hadith books, this book sheds light to the practical side of Islam, faith, acts of worship, avoiding sins, calling to the true path, and serving in the way of Allah. Es ist noch keine Bewertung für Principles For Life abgegeben worden.